Hanoi (VNA) – As many as 2,200 new agricultural enterprises were set up in 2018, up 12.3 percent compared to 2017 and pushing the total number of firms in the sector to 9,235, reported the Ministry of Agriculture and Rural Development (MARD). The average registered capital for each firm is 17.8 billion VND (765,400 USD), higher than the national average at 10.2 billion VND (438,600 USD) per company. Notably, agro-forestry-fishery is one of the two sectors whose number of operational enterprises is higher than those with halted activities. Along with the booming of small- and medium-sized businesses, a number of large firms have increased investment in agriculture, especially high-tech agriculture, including Nafoods, TH, Dabaco Vietnam, Masan, Lavifood, and Doveco. Under the encouragement of many policies supporting enterprises to invest in agriculture and rural areas, agricultural product processing and storage, as well as the support industry have also developed. In 2018 alone, 16 modern factories for vegetable, pork, and poultry processing were built with a total investment of about 8.7 trillion VND (371.1 million USD), contributing to enhancing the quality and diversifying agro-forestry-fisheries products. Throughout the year, the MARD continued to transform agricultural cooperatives in line with the Law on Cooperatives. After six years implementing the law, the number of new agricultural cooperatives has increased to 5,816, including 1,935 set up in 2018. 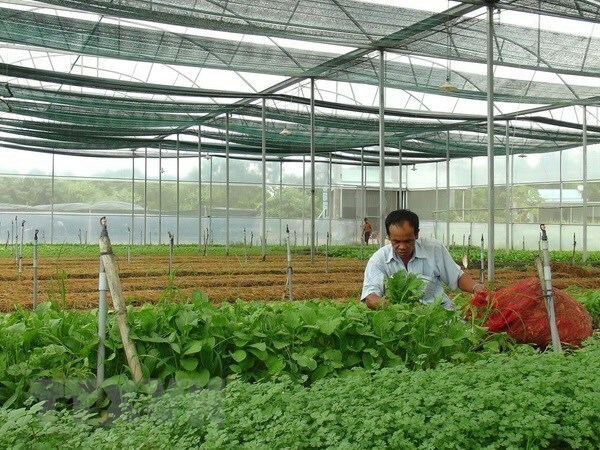 By the end of 2018, Vietnam has 39 federations of agricultural cooperatives, along with 13,400 cooperatives, a rise of 14.6 percent over 2017. Of the total, 55 percent operated profitably. The ratio of cooperatives involved in selling products for its members also rose to 20 percent, instead of the previous 10 percent. Meanwhile, the country now has 35,500 farms, a rise of 1,500 farms against 2017.